This week’s App is You Gotta See This! and is only going to work on the iPhone 4. The app creates collages of images that you take by slowly moving the camera around in 3D space. The resulting images are somewhat similar to what is called “panography” or “Hockneyesque” (after the artist David Hockney). “You Gotta See This!” uses the iPhone 4 gyroscope to determine the camera orientation while you record and positions the images it takes accordingly on a flat surface to create the spacial collages. IMPORTANT NOTE: You Gotta See This! requires an iPhone 4. It will not run on iPhone 3GS, 3G and earlier models. I do seem to buy a lot of photo Apps, some I use quite regularly others I just use once or twice and others I kind of forget I bought! So what of You Gotta See This! This iPhone 4 App makes use of the camera and built in gyroscope to capture multiple images that are then placed in a collage. You can choose how the images are spread and then save the result to the iPhone or share via various social networking sites. It’s a simple yet clever App that quickly creates an image that can be used to show off a place or an event. It must be remembered that this is not a Panorama App. Stitched panoramas are not seamless. This is by design. ‘You Gotta See This!’ is not a panorama app. The purpose of the app is to create what is called panorama collages or panography. It creates collages rather than panoramas. 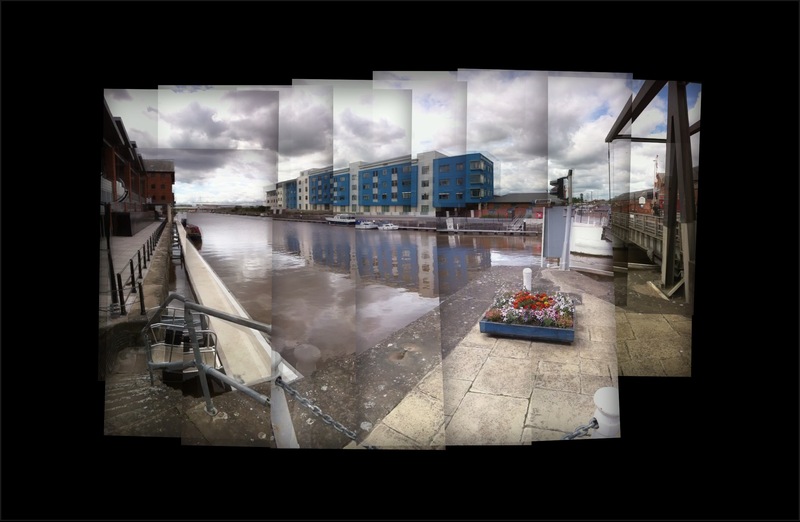 There are quite a few Panorama Apps in the iTunes store. This entry was posted on Tuesday, August 3rd, 2010 at 8:40 am and is filed under iphone 4, iphone app of the week, photography. You can follow any responses to this entry through the RSS 2.0 feed. You can leave a response, or trackback from your own site.